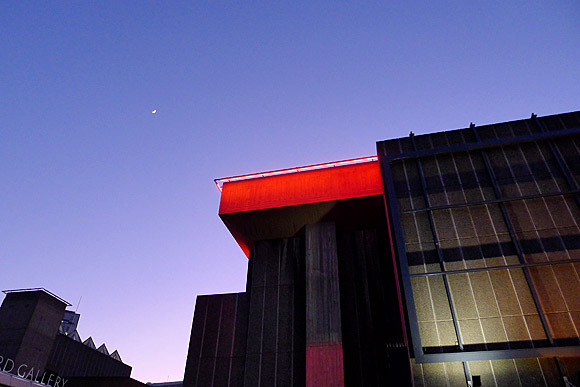 Seen on top of the Queen Elizabeth Hall at dusk is this curious boat shaped hotel room designed by David Kohn Architects and Turner Prize-nominated artist Fiona Banner. Up to two people at a time can spend a night in the room, which is billed as “a place to reflect on the nature of transience”. 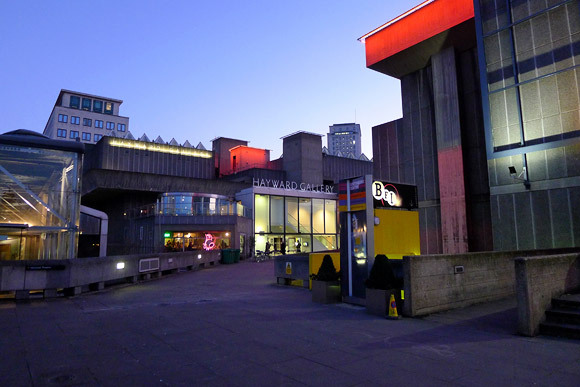 The ‘love it or hate it’ brutalist rough concrete lines of the Hayward Gallery on the South Bank. 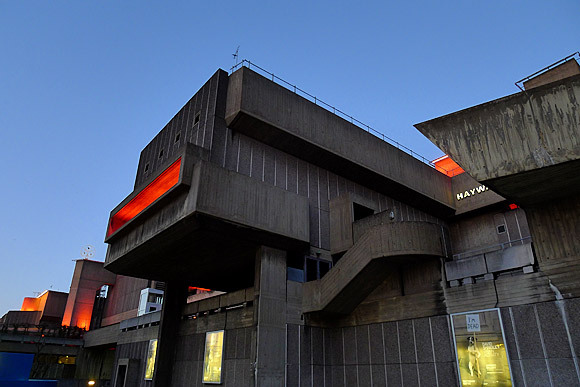 The Hayward Gallery – a major London art space – was built by UK construction company Higgs and Hill and opened on 9 July 1968. 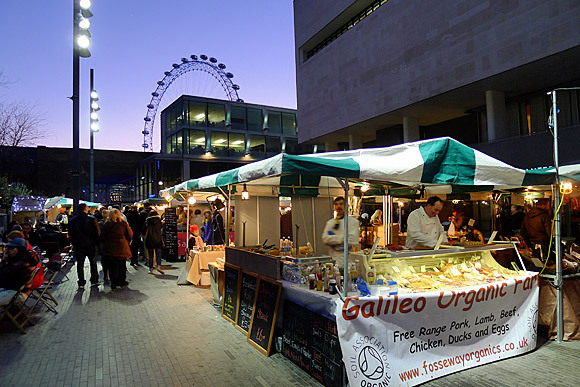 Food market outside the Royal Festival Hall. 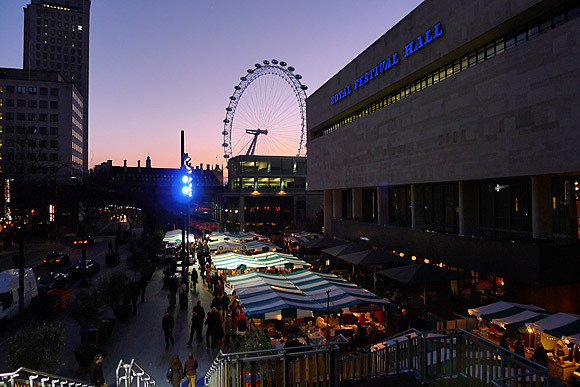 Royal Festival Hall with the London Eye in the distance. 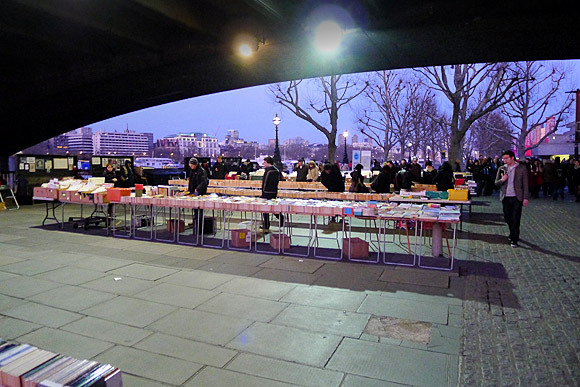 Books for sale under Waterloo Bridge. 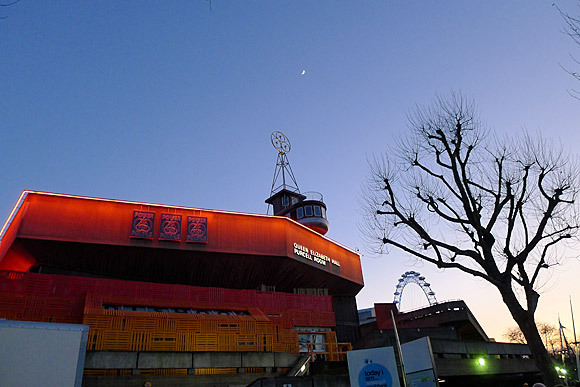 We love London, even if we are very seldom there, so with pleasure we’ll follow your blog! 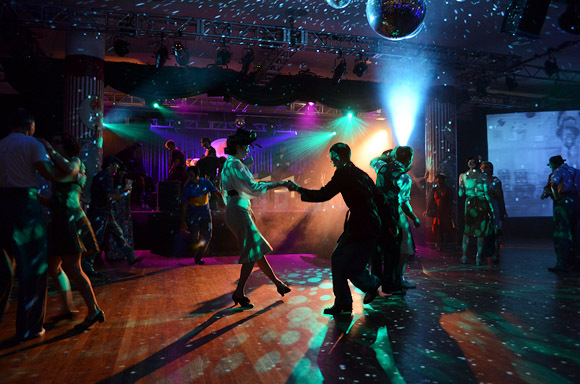 Thank you for sharing this photos!